With all the pressures of life, relaxing can be difficult. No matter your lifestyle, you can find ways to relax and regroup. Set aside some time every day to give yourself some much deserved relaxation. One great way to relax is to meditate. You don't need to learn complicated techniques or yoga. A few minutes of simple meditation every day can help release tension and anxiety. The key to effective meditation is to find a quiet spot away from distractions. Focus your mind and energy without letting your mind wander. Try progressive muscle relaxation. 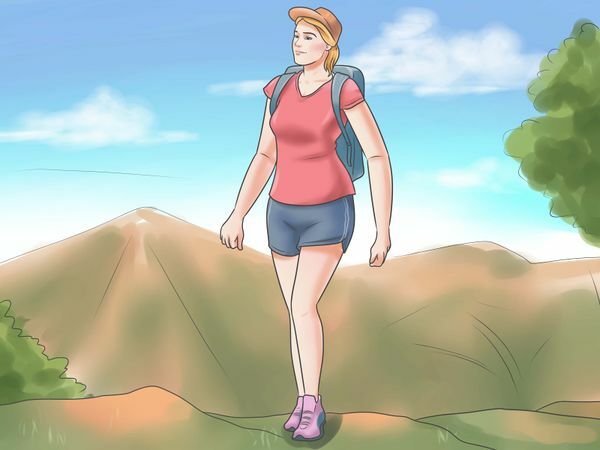 Start by wearing loose clothes and being barefoot. Take a few slow, deep breaths to start relaxation. When you feel relaxed, focus on your right foot. Think about how it feels. 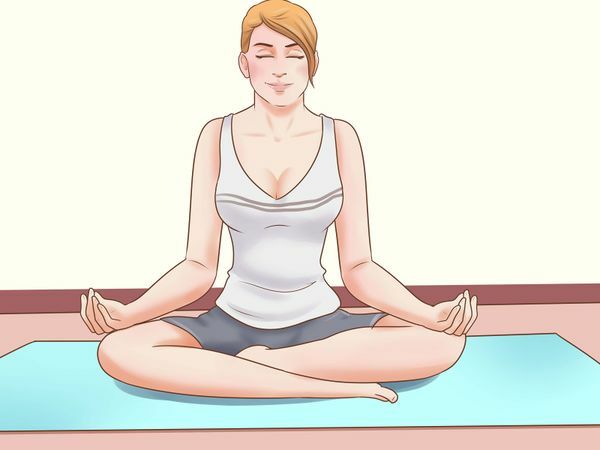 Then, slowly tense the muscles in your foot and hold for 10 seconds. As you relax your foot, feel the tension releasing as your foot feels limp and loose. Breathe deep as you focus on the way your foot feels. Then, do the same thing for your left foot. Continue up your body, going back and forth between right and left side, with each muscle group. Try not to tense any muscles other than those you are focusing on. Body scan meditation is a stationary relaxation technique. You focus on your body and how each part feels while remaining still. It is thought to help you let go of things that need to be done and release pent-up emotions. Start by lying on your bed or the floor. Focus your attention at the top of your head and move down your body. Make sure to breathe deeply as you tune into each part of your body. Pay attention to each finger, each muscle, each separate body part. After you are done, sit in silence for a while. Then open your eyes slowly. Practice mindfulness meditation. For this, sit and focus only on the present. Don't worry about the future or the past. 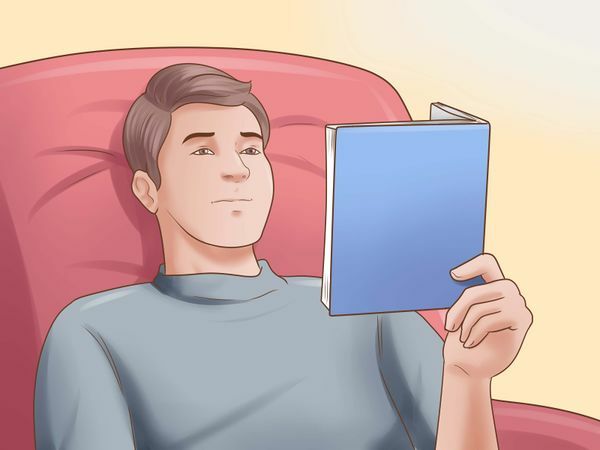 Start in a quiet place and get in a comfortable position. Choose something to focus on, like a feeling, a scene, a flame, or a meaningful word. Your eyes can be closed or open. Remain calm and focused on the moment. This helps you reduce overwhelming stress by only focusing on the now. 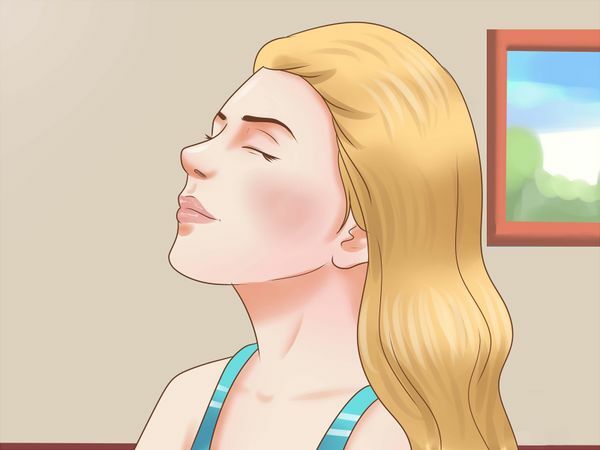 Deep breathing is one of the most effective relaxation techniques. It is used as the basis for many other relaxation and meditation techniques. Breathing is easy to learn and can be done anywhere at anytime. 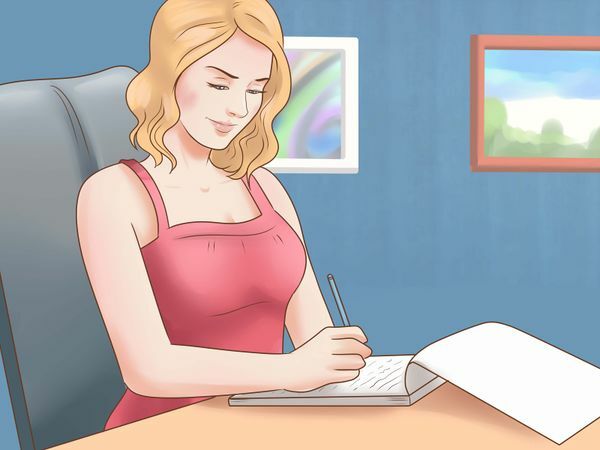 Start by sitting straight in a chair in a quiet room. Close your eyes. Clear your mind of outside thoughts. Focus only on your surroundings. Think about how your feet feel on the floor, the posture of your back, the clothes against your skin. Turn your attention to your breathing. Inhale and exhale at a tempo that feels good and comfortable for you. Don't breathe too deeply. Keep the breaths calming and natural. Try to make the exhale last longer than the inhale. Make sure you are breathing through your belly. Place your hand on your stomach and feel each breath. Breathe in through your nose and exhale through your mouth. 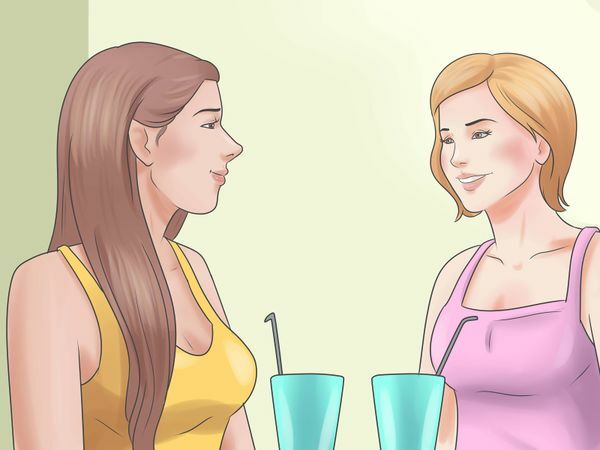 Your stomach should move while your chest does not. Sounds can have a powerful relaxation effect. 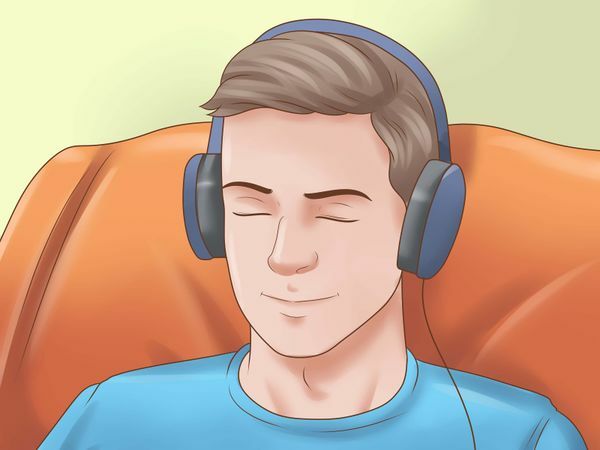 Try closing your eyes and lying down while listening to something that relaxes you. If you are at work or driving, turn on music and focus on it while trying to push out other thoughts. Listen to uplifting music. Put in your favorite CD, make a playlist of fun songs, or listen to a genre that makes you happy. Sing along to the songs for added relaxation. Put on nature CDs of crashing waves or rain. If you prefer music, try piano or violin instrumental music, or New Age sounds like Enya. Buy a fountain and keep it by your desk at work. When you need to relax, take a moment to close your eyes and listen to the soothing water. Spend a few minutes every day writing about your day. You can journal about everything and anything. Write pages if you feel like it. Just jot down two lines. Make the activity about clearing your stress and allowing yourself to relax. Write out your frustrations about the day. What bothered you? Can you fix it? If not, then just get it out so you can try to move on. Use the journal to boost your self esteem. Write reminders to yourself about your positive attributes. Assure yourself it is okay to have bad days. Write things like, "You are awesome" or "I love myself." Don't add journaling into your relaxation practice if it adds even more stress. Spend time each day where you are not influenced by technology. Distractions and responsibilities linked to e-mail, social media, and the internet can keep you stressed without you realizing it. Set aside time every day to free yourself from those distractions. Put your cell phone in another room, log off your laptop, and turn off the television. Go for a walk. Sit in the park and watch the squirrels. Take a bath. Read. Cook dinner. It doesn't matter what you do; just focus on your task and enjoy the moment without technological distractions. Try going for 30 minutes on weekdays without technology. Try an hour a day on the weekends. Nature has great restorative properties. Research has even shown how being in nature can improve mental health. Sunshine contains Vitamin D, which helps boost moods. Fresh air also provides mental and physical benefits. Take a walk. Garden. Play an outdoor sport. Go to a state park and go hiking. If you have the time, go camping for the weekend. You don't have to exercise to enjoy the restorative qualities of nature. Sit in the park and feed the pigeons. Eat dinner on your patio. Talk on the phone outside. Tension gathers in our muscles. When you feel tense and stressed, try loosening those tense muscles to help you relax. Give yourself a hand massage. 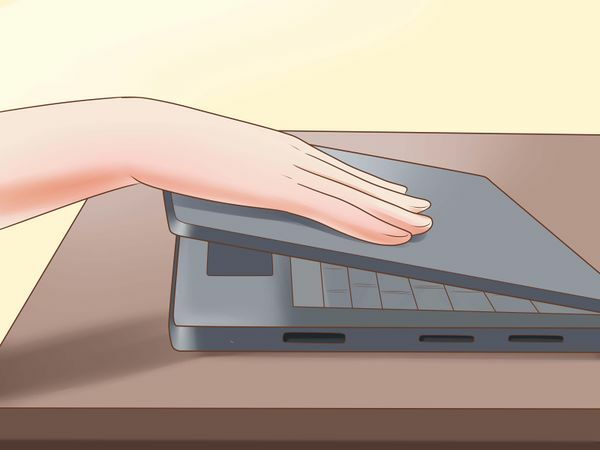 Hands carry a lot of tension, especially if you work on a computer. Apply some relaxing lotion onto your hands, like peppermint or lavender. 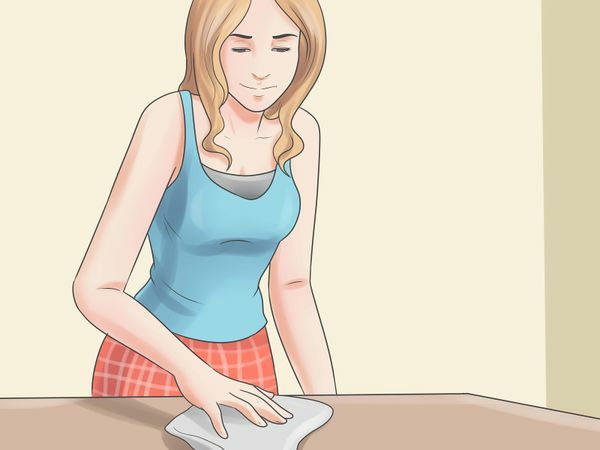 Then massage the muscle right under your thumb. Loosen your jaw muscle. Open your mouth wide as you breathe. Hold it for 30 seconds, then release. Try acupressure. Acupressure is an Asian body technique where you massage and apply pressure to certain points on your body to release tension. Familiar motions have a calming effect. Routines help put your body at ease. Repetitive motions are great for people who cannot seem to relax by being still. You can do something familiar and repetitive while clearing your mind of troubling thoughts. 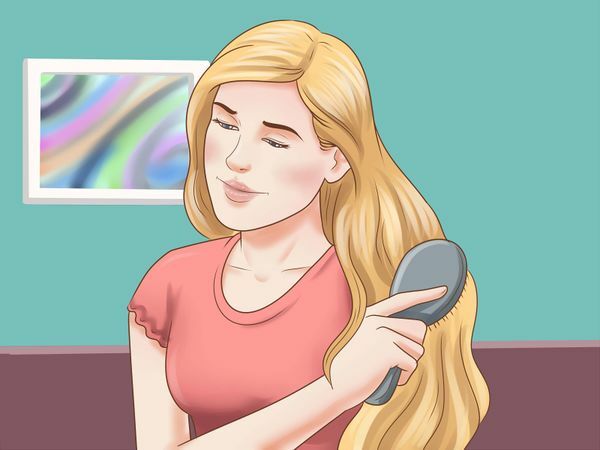 Try brushing your hair, knitting, or washing dishes. Gardening is another great repetitive motion. Fill the tub with hot water. 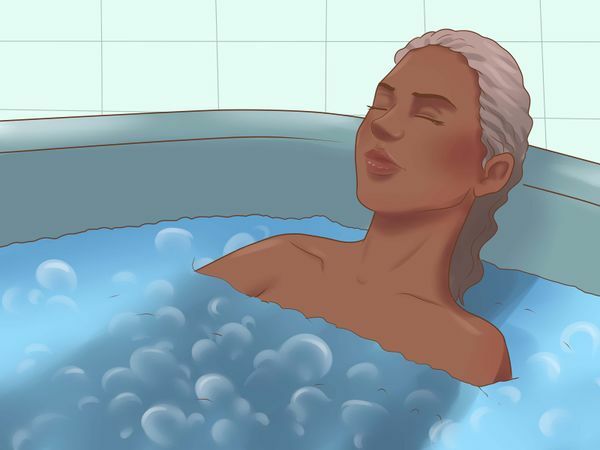 Allow yourself to soak in the warm water instead of rushing to clean yourself. Let your muscles relax and restore in the water. Try adding essential oils, like lavender oil. Bath salts, bubble bath, and scented bath petals can also be relaxing. Light candles and play soft music. Allow your mind to clear and focus on the scents, the water, and the music. If you have access to one, sit in a hot tub. Steam rooms and saunas can also be relaxing. Exercise can help boost your mood and help you relax. This doesn't mean you have to run. Any kind of physical activity, including light movement, can get your blood pumping, raise your endorphins, and make you more relaxed. Go for a 15 minute walk around the block. 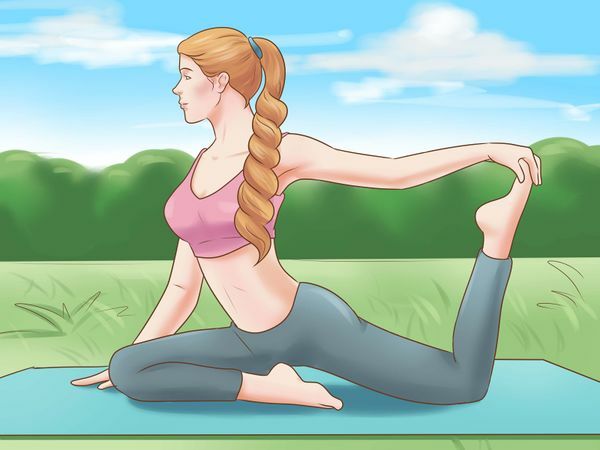 Try doing light yoga poses. Stretch your body, especially your neck and shoulders. Try head and shoulder rolls. Don't spend the hour before bed watching television or surfing the internet. These activities can keep your mind engaged and keep you from relaxing. Drinking alcohol before bed can also result in restless sleep. Instead, spend the 30 minutes before bed bringing yourself down from the day. Read before bed. Take a warm bath. Spend a few minutes journaling. Meditate or work on your breathing techniques. Decide what is the best way for you to come down from the day so you can full relax and sleep soundly. 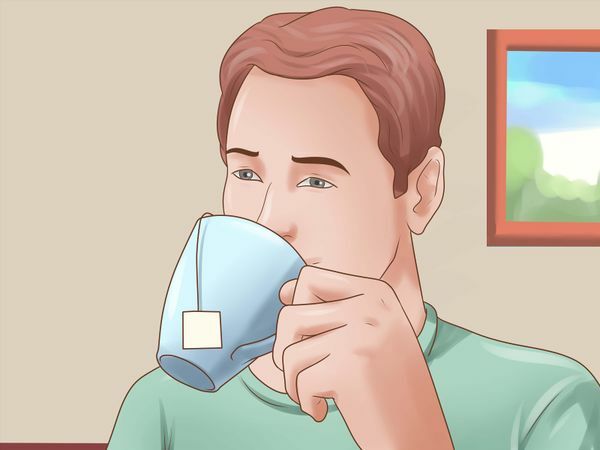 Scientists claim that tea can help reduce stress. Drinking tea daily can help reduce stress and anxiety when put in stressful situations. Try replacing your morning coffee with black tea, or drink a soothing herbal in the evening. Try passionflower tea to help calm anxiety. Also try peppermint, chamomile, and lemon balm teas, which are all caffeine free. Drink green tea. Green tea contains L-Theanine, which is a calming agent. Many green tea varieties are caffeinated, so try not to drink those at night. If possible, get a decaffeinated green tea. This helps the L-Theanine work better. Add honey to your tea. Honey also is considered a relaxant. According to a recent study, chewing gum during stressful situations can help reduce the symptoms. Scientists found that chewing gum lessens negative moods and the stress hormone cortisol. 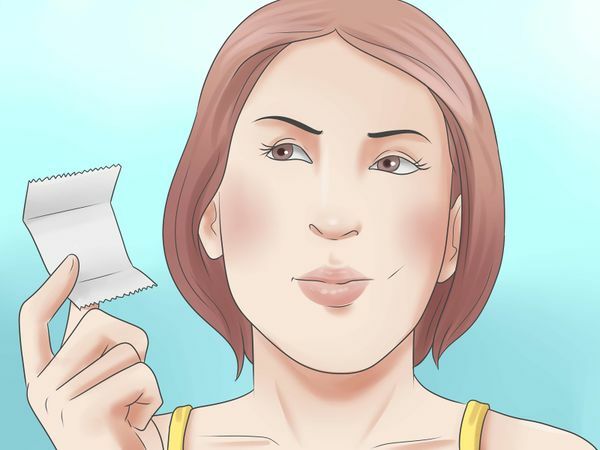 When you feel stressed, pop any kind of gum in your mouth and chew for a few minutes. Take a break and try to clear your mind while you chew to help yourself relax even more. A good way to relax is to talk to someone about what stresses you. Letting go of what's bothering you instantly makes you feel better. A kind, supportive word from a friend or loved one can make you start to relax. Talk to your friend in person, call her, or send a quick text. Reach out via social media. The action of telling someone about your stress can have immediate effects. Sometimes, relaxing means getting something done. That's one less thing for you to worry about. To make this relaxing instead of stressful, focus on the task at hand. Then focus on the end result, which is to cross one thing off your list. That frees up space in your life and helps you relax. Cleaning is a great relaxation technique. Change your sheets, wash your windows, or wash the curtains. Mop or vacuum your house. Declutter your things. Clearing away the junk in our space is as important as clearing our minds. Try donating old clothes and shoes to charity. Go through your books and donate ones you've read. Clean out your desk drawers. Attend to your finances. Don't put off dealing with bills or other things another day. Cross that off your to do list. Allow yourself to feel good and relax because of what you've accomplished.